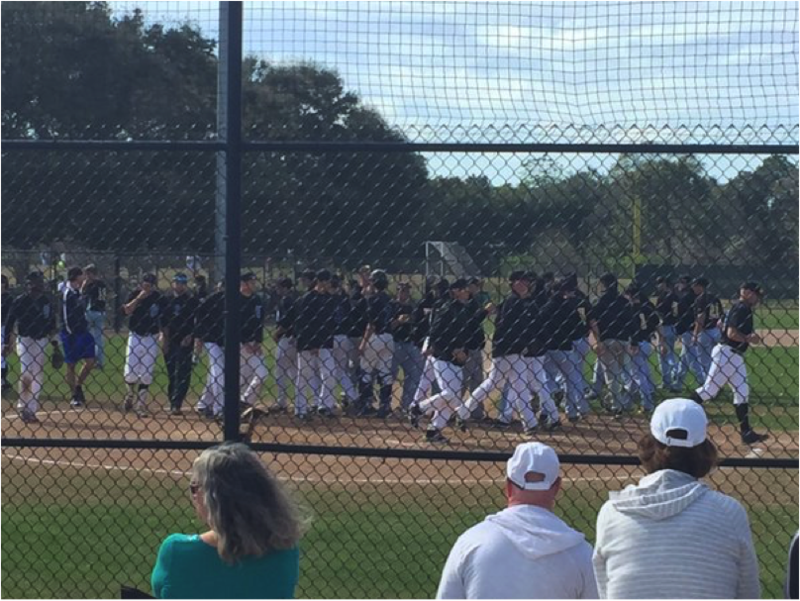 The St. Petersburg Titans played Pasco-Hernando State College on Sunday February 14th. Both teams came into the game playing good baseball. 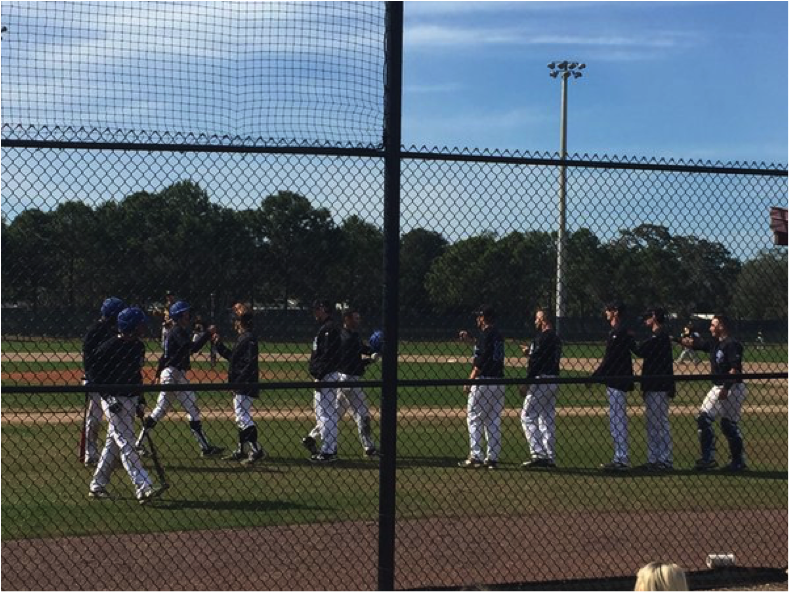 SPC was 8-3 and on a 3 game winning streak and Pasco-Hernando was 5-2 for the season. The first inning was uneventful, but in the second inning the action started to pick up when #15 for Pasco drove in the first 2 runs of the day with a double to the right center field gap. After a sac fly and a fielder’s choice, Pasco scored 2 more runs and they ended their half of the 2nd inning up 4-0. SPC came up in their half of the 3rd and were able to play small ball and cut the deficit in half to 4-2 going into the top of the 4th. Starting pitcher for SPC, Kip DeShields, really found his groove out there after a rough start and didn’t allow a base runner for the 3rd and 4th innings. In the SPC half of the 4th, #20 Mijon Cummings hit a long drive to left field for a two-run homerun that tied the game at 4 all. SPC couldn’t use the momentum to gain the lead and in each of Pasco’s next 2 half innings, they tacked on 1 run in each to make the score 6-4 going into the top of the 7th inning. In the top of the 7th inning, Pasco was able to get 2 more runs across to lead 8-4. In the bottom of the 8th, luck began to turn around for SPC when catcher Scott Manea came to the plate with a man on and one out. A laser hit to the right center field gap scored one as he slide into third with an RBI triple. The next batter, Alex Archer then drove Manea in to make the score 8-7 Pasco. But then #8 Christian Hammond came up and put SPC ahead for good as he hit a 2 run home run to left field. At the end of the 8th inning, SPC was ahead 9-8. 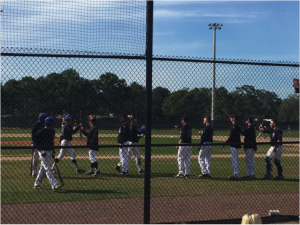 With a 1-2-3 top of the 9th, the SPC Titans were able to extend their winning streak to 4 games and improved their record to 9-3 as Pasco-Hernando State College fell to 5-3 on the season.